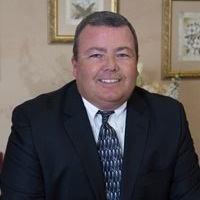 As the Vice President of Employee Benefits, Dan has over 20 years of experience in helping both large and small employers design affordable Health insurance plans in the NJ/NY marketplace. Dan manages an internal team of agents and service coordinators that service over several hundred business clients, paying more than $20 million of premium. Dan and his team specialize in group medical, dental, disability, life, and accident plans. We represent all carriers in the marketplace and make our consultations in a non-pressured style. Dan’s team also handles the Medicare market, and we represent Medicare Supplemental, Part D, and Medicare Advantage plans from several carriers. Dan is married with 2 children and resides in the Jersey Shore Area. Outside of the office, he can be seen playing golf, or watching his kids on the basketball court or soccer fields.